(NaturalNews) When it comes to antidepressants and many other drugs, double-blind drug trials are a complete fraud. Here's why: "Double-blind" means that one group gets a placebo while another group gets the real drug, but neither group knows what they're actually getting. This is supposed to sort out the placebo effects (which are real but discarded by scientists who don't believe in "mind-body medicine") from the "real" drug effects (which are considered legitimate because they are caused by chemicals) and provide proof that the drug in question works better than placebo. There's only one problem with all that: The patients realize they have the "real" drug when they start experiencing horrific side effects! Once patients start to suffer from side effects, they get excited about realizing they have the "real" treatment and not the placebo. From this realization, their mind creates a powerful new placebo effect from the deeply implanted belief that only chemical drugs can "balance brain chemistry" -- a claim driven into their heads by incessant drug advertising on television as well as by miracle promises from their drug-dealing doctor. Thus, the more toxic the side effects, the more the patient generates her own placebo response that makes the drug look better than mere placebo. Those patients who suffer no side effects, meanwhile, decide they're not on the "real" drug, and they mentally shut down any possibility of the drug actually working. This is a "negative placebo" effect. It sounds bizarre, but it's the truth: Patients in America now believe that drugs don't work unless they generate toxic side effects. This belief system drives their mind-body reactions in drug trials, causing a gross distortion of drug trial data in so-called "double-blind" clinical trials, making it appear as if the more toxic drugs work better than they actually do. The largest placebo responses tend to occur in trials in which both patients and physicians believe a powerful new treatment is being tested. The blank pills work because the patients who take them and the doctors who administer them think that they might contain the new wonder drug. If the trial is not blind, and the patients and doctors know who has been given the real drug and who has the placebo, the placebo response is greatly reduced. 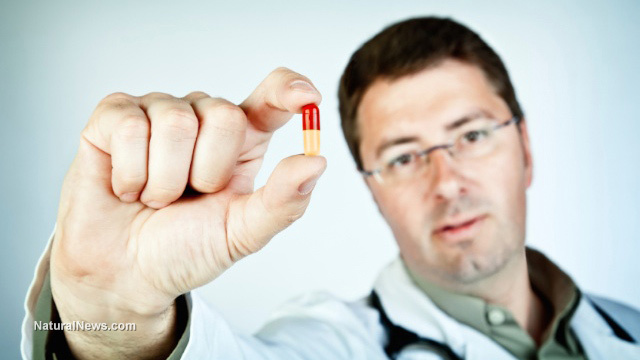 Neither the patients nor the doctors expect the placebo to have much effect, and it doesn’t. This can be a serious problem even in double-blind trials. If the real drug has noticeable side effects, both the patients and the doctors can find out who is receiving the placebo and the real drug, and as a result the placebo is less effective, which makes the real drug more effective relative to the placebo. This may seem like a tiresome technical detail, but it has huge economic consequences. Once some people realized they were receiving the real drug and others realized they were getting the placebo, the placebo would have become less effective, and hence Prozac would have seemed more effective by comparison. In a study in which doctors and patients were asked to say whether they had received the real drug or the placebo, 80 percent of the patients and 87 percent of the doctors were right, as opposed to the 50 percent that would be expected by random guessing. However, in several other clinical trials, Prozac was no better than the placebo. One reason could be that in these trials the patients had less experience with antidepressants and were less able to recognize the side effects. However, the drug company, Eli Lilly, did not publish the results of unsuccessful trials, which were revealed only because an independently minded researcher, Irving Kirsch, managed to obtain the data using the US Freedom of Information Act. He found that when all the data were taken into account, not just the positive results published by the manufacturers, Prozac and several other antidepressants turned out to be no more effective than placebos, or than a herbal remedy, St. John’s wort, which is far cheaper. Ironically, the suppression of the data showing that Prozac was no better than a placebo probably helped to increase its effectiveness as a prescription drug, because doctors and patients had more belief in it, thus enhancing the placebo response. The bottom line? Don't believe Big Pharma's "double-blind" placebo controlled drug trials. They all produce false results due to the influence of the patient's programming and beliefs.